From refugee to high school miler to decorated marathoner, the long and incredible competitive running journey of San Diego’s Meb Keflezighi came to a close Sunday at the New York City Marathon. Keflezighi, who came to the U.S. from war-torn Eritrea, finished the race at 2 hours, 15 minutes, 29 seconds, good enough for 11th place in the 26th marathon of his career. Keflezighi briefly collapsed moments after he crossed the finish line, but quickly recovered, according to multiple news outlets. The race featured another milestone, as American Shalane Flanagan became the first U.S. woman to win the New York Marathon in 40 years, finishing in 2:26:53. The men’s race was won by Kenyan Geoffrey Kamworor in a time of 2:10:53. Sunday’s marathon brought Keflezighi full-circle — the New York City Marathon was his first such race in 2002. He came in ninth then. Seven years later, he became the first American in 34 years to win the New York race. By then, he already had won an Olympic silver medal, from the 2004 games in Athens, Greece. Perhaps most famously, he became the first American man in 31 years to place first in the prestigious Boston Marathon in 2014, the year after the finish line bombing that killed three people and injured scores of others. 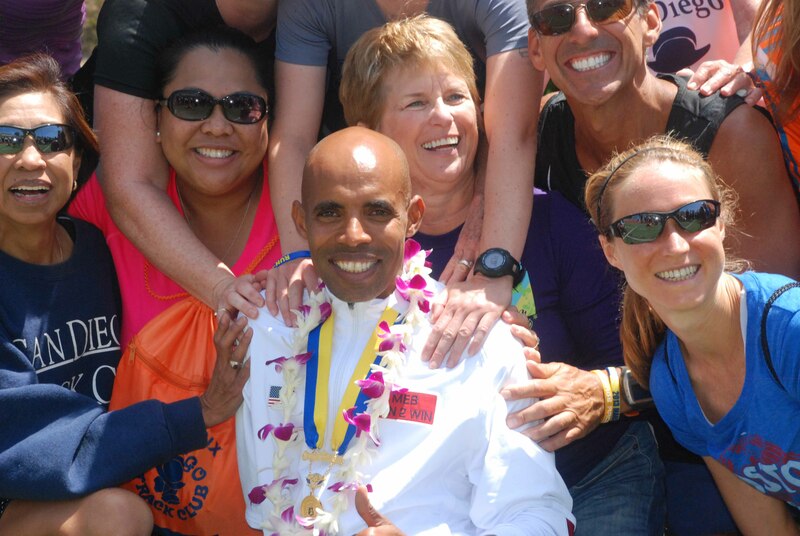 He’s the only person to win the Boston and New York City marathons and an Olympic medal. With a friendly and humble demeanor, he became one of San Diego’s — and running’s — most popular figures. As a child, he lived in an East African village with no electricity, where his brothers hid in the bushes so they would not be forced to join the military to fight against Ethiopia. After one year in Milan, Italy, his family settled in the U.S. in 1987. Seven years later, he won state high school championships in both the 1,600- and 3,200-meter races, competing for San Diego High School. He attended UCLA before moving on to his professional career. Now 42, Keflezighi lives in Mission Hills, though most of his training has been in the Eastern Sierra ski resort of Mammoth. In April, he placed 13th in Boston.